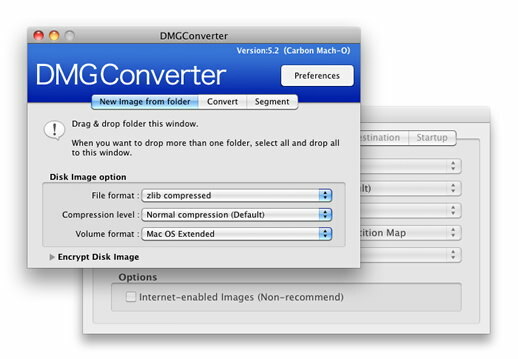 DMGConverter is a disk Image (.dmg, .cdr, .iso) create and convert tool which is simple and easy to use. It is a very useful tool for the collective processing of more than one file and every folder, and it can deal with all the fundamental processing with the drag & drop of the file/folder. If you need more information please contact the developers of DMGConverter (Sunskysoft), or check out their product website.